The Weinstein Company's legal trouble just got worse. The office of New York Attorney General Eric T. Schneiderman is investigating the studio to find out if Harvey Weinstein or other employees broke the law. A subpoena was issued on Monday by the office's Civil Rights Bureau. "No New Yorker should be forced to walk into a workplace ruled by sexual intimidation, harassment, or fear. If sexual harassment or discrimination is pervasive at a company, we want to know," Schneiderman said in a statement. Schneiderman's investigation is looking into whether officials at the Weinstein Company violated state civil rights law or New York City human rights law, a source familiar with the investigation told CNN. The subpoena is seeking all of the documents relating to complaints of sexual harassment or other discrimination at the company. The investigators want to determine how the complaints were handled internally. There have been accusations that some executives knew about misconduct by Weinstein and sought to cover it up. The investigators also want to examine how employees were hired and fired -- which is notable since Weinstein was allegedly preying on young women, some of whom were employees at the studio. The Weinstein Co. has offices in both New York and Los Angeles. Harvey Weinstein, who co-founded the company, split his time between the two. Earlier this month The New York Times and The New Yorker published stories detailing a decades-long pattern of alleged sexual misconduct by Weinstein. He denied some of the allegations, including all of the allegations of non-consensual conduct, but admitted to some improper behavior and apologized for causing pain. The company fired him within days, and he later resigned from the board of directors. Now Weinstein is in treatment. His spokeswoman told CNN Monday that "he is staying in therapy for another month." Meanwhile, he and his lawyers are still involved in the future of Weinstein Co., since he owns a stake in the studio. The company is struggling to stay afloat in light of the shocking allegations and the questions about who knew about it. Colony Capital, a private equity fund run by Tom Barrack, provided a lifeline last week, and is in talks to buy part or all of the company. 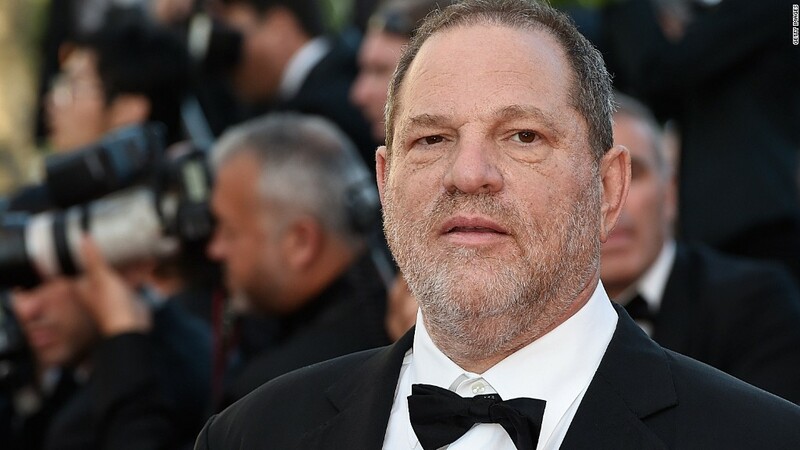 Last Thursday, the Los Angeles Police Department became the third police department to confirm an open investigation into allegations against Weinstein. Police in New York City and London are also investigating. Weinstein has not been charged with any crime.